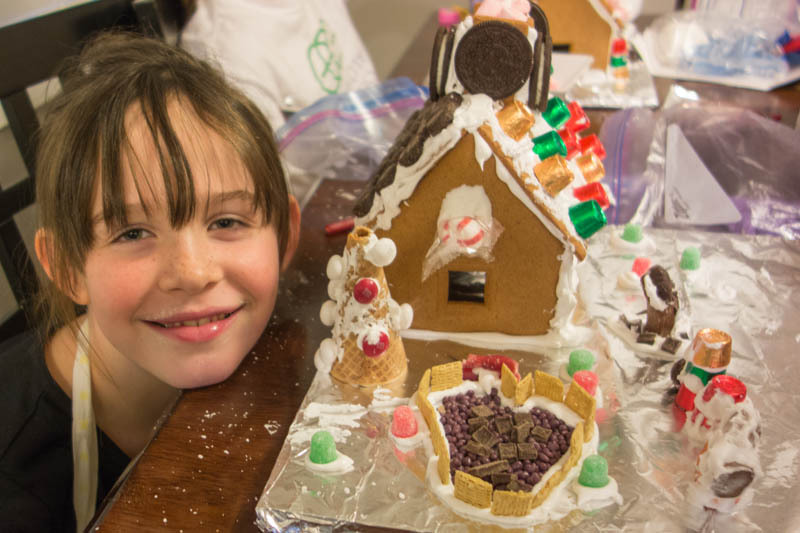 The Little Women celebrated the first Advent Sunday by building gingerbread houses. 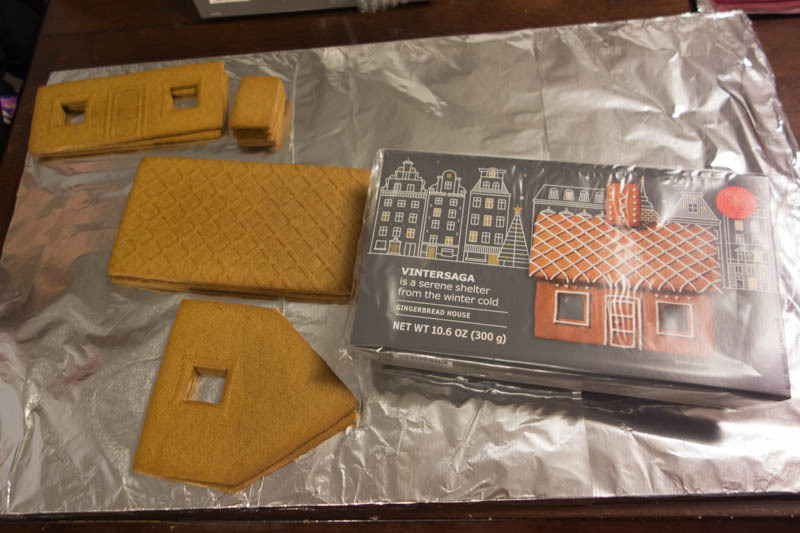 This year Jenelle decided to use some nice pre-made kits, made in Sweden by the masters of pre-made kits, Ikea. That’s right, for only four dollars, you too can purchase a Vintersaga house kit. Like most Ikea products, it appears to be made of brown particle board, assembly is required, and the instructions have no words. The lifespan of this particular kit is short even for Ikea. 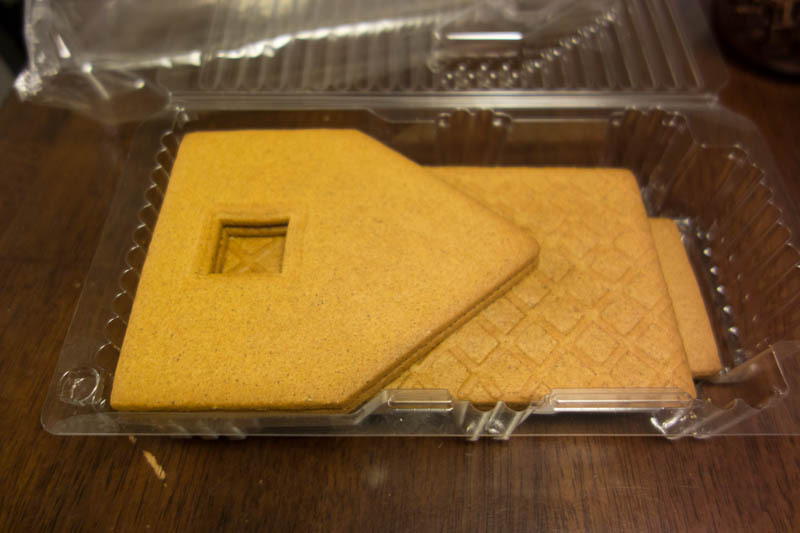 Of course, it also comes in a flat pack. 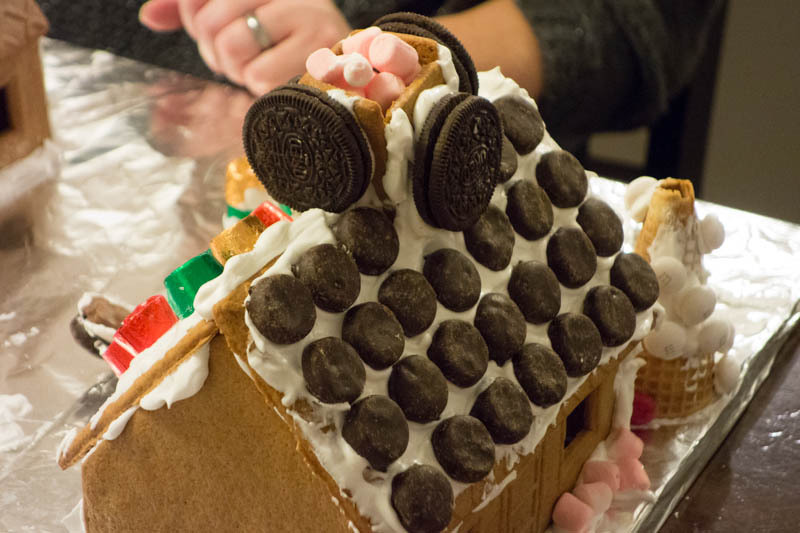 Clara finished her house first. 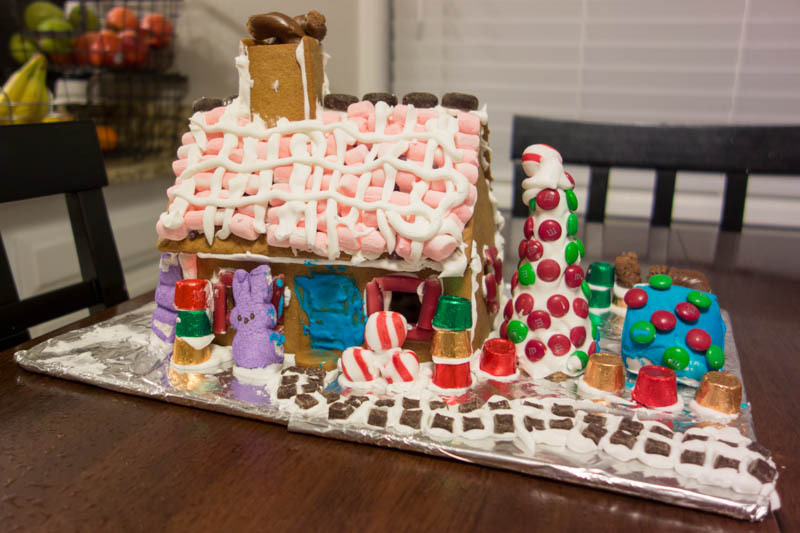 She claimed that the marshmallows in the chimney of her house were supposed to be smoke, but really it was so that the chimney could serve as a candy dish later on. 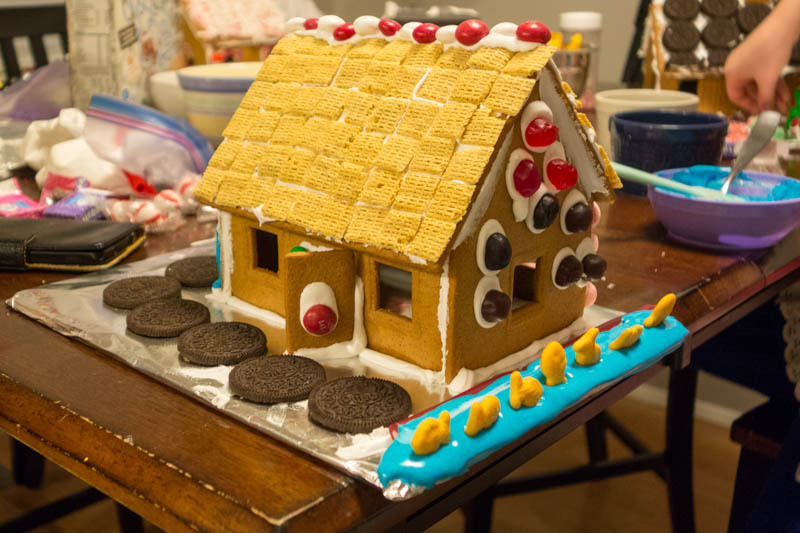 Below is Jonathan’s gingerbread lake house. Note the fish doing tricks along the shoreline. This is Annika’s house. She designed the pool so that it waters the adjacent Christmas tree. This is Nicolyn’s house. If any of our diabetic readers were injured by viewing this picture, we apologize. 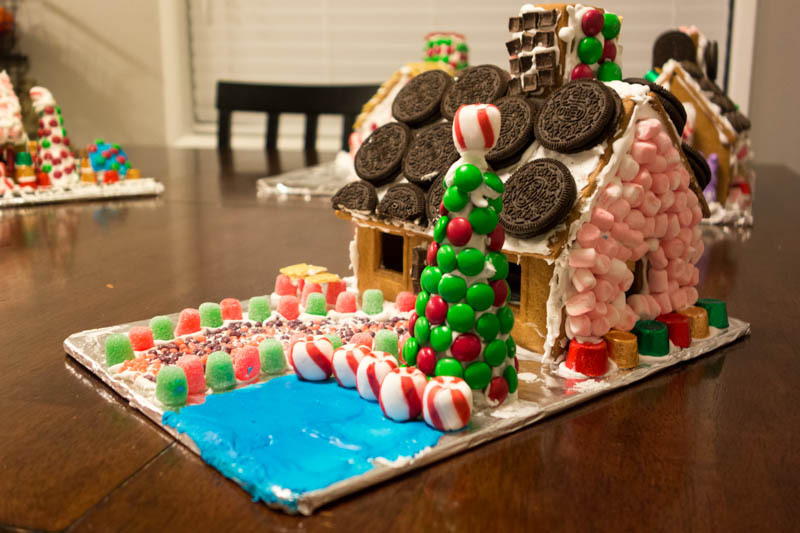 And here is Jenelle’s house. 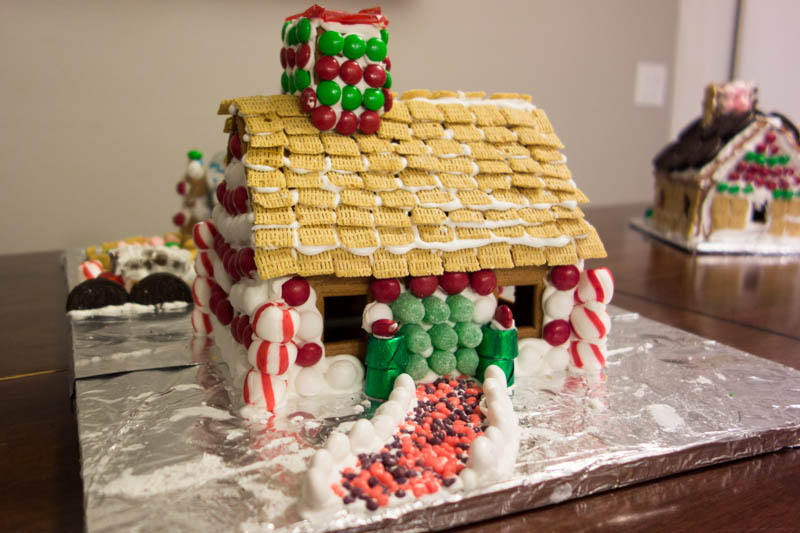 Note the skillful use of Life cereal (gingerbread-spice flavor) to simulate the appearance of a thatched roof. Jenelle saw many houses with a thatched roof while living in England, and she can give all sorts of reasons why you should be glad that your home does not have one. 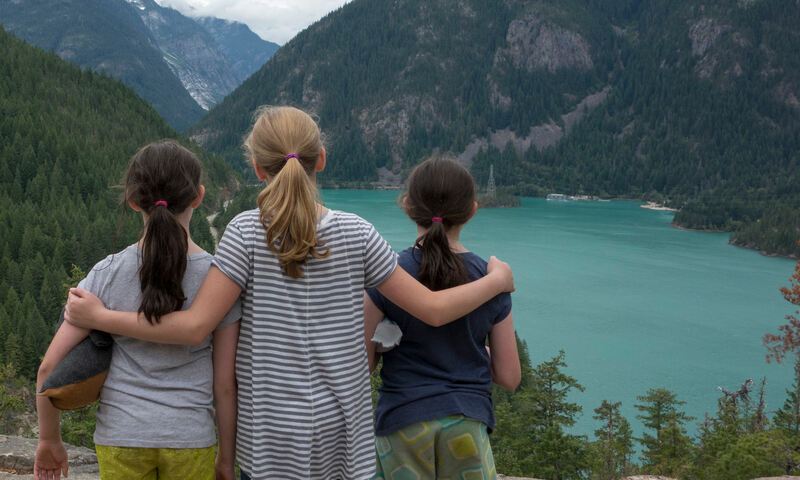 The Little Women were clamoring for a camping trip this summer, so after recovering from their Yellowstone visit, they packed up the tent and headed to Seaquest State Park in southern Washington. Seaquest State Park is not near the sea, but it is near Mt. 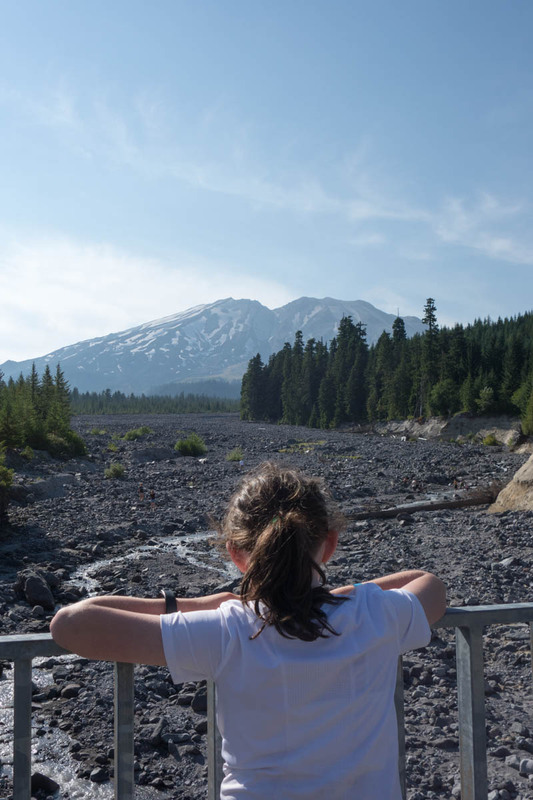 St. Helens, which gave the Little Women a chance to examine a real live volcano up close (but not too close). They also visited Ape Caves, which is North America’s longest lava tube. (Don’t worry–the lava left a long time ago.) In between they engaged in time-honored camping activities, like dropping marshmallows into the campfire and playing Squirmy Wormy, a game that involves crawling into your sleeping bag and pretending to be a worm. 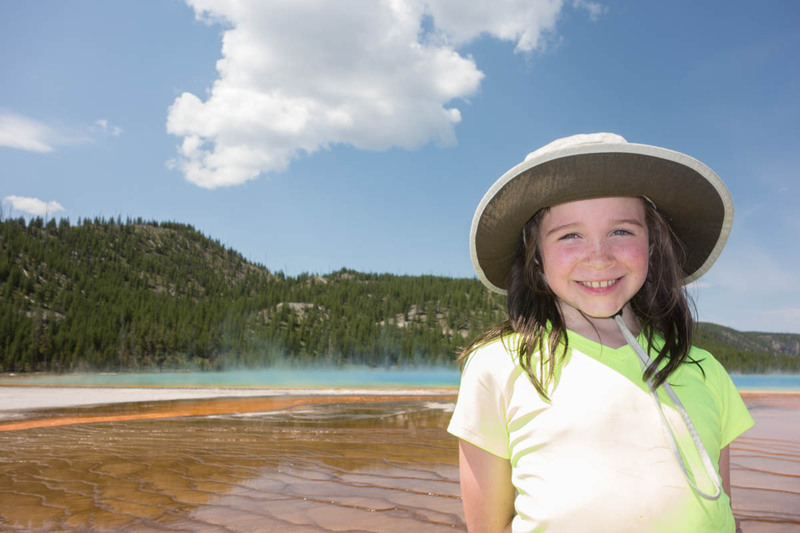 They hope that there will be more time for camping next summer. . . .
Last month the Little Women and their parents made their annual trek to the Mountain West. 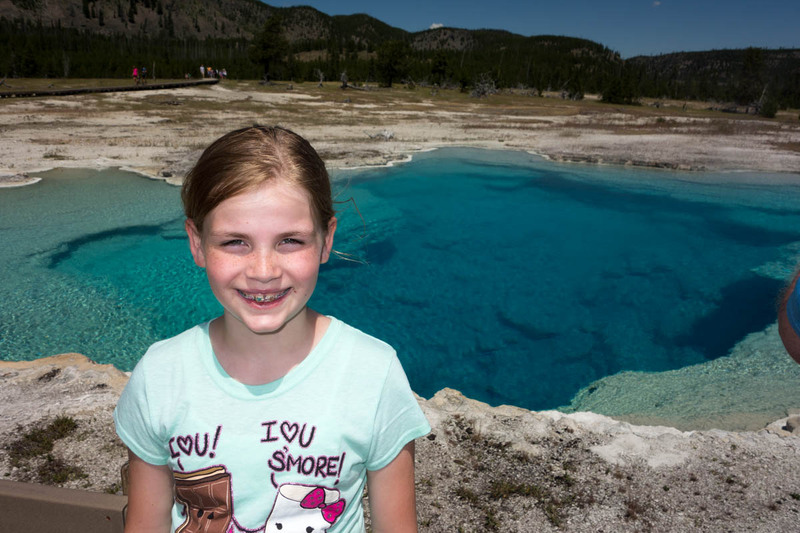 After visiting their grandparents in northern Utah, Annika, Clara, and Nicolyn headed north to Yellowstone National Park. They stayed at a cabin in Island Park, Idaho–our readers probably know Island Park for having the longest main street in the USA (33 miles). The best part of the trip was that they spent it with their cousins, aunts, and uncle. 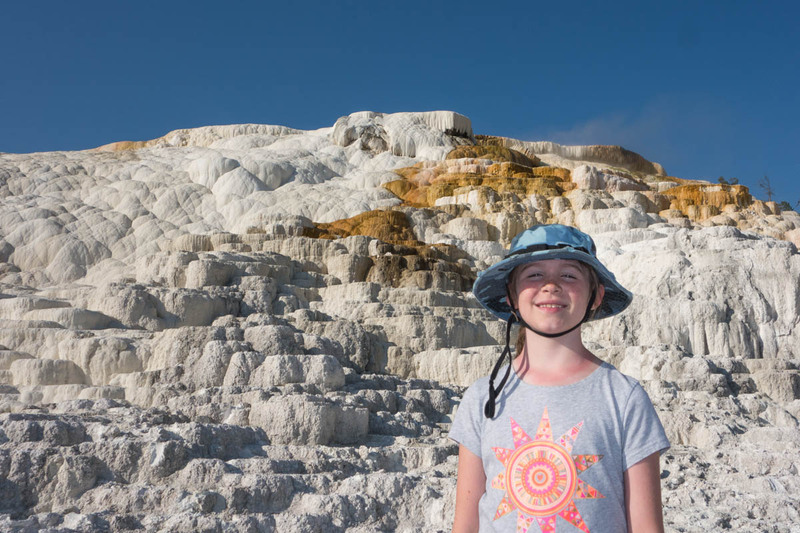 After three great days exploring the park (along with 30,000 other people), the Little Women drove to Pocatello to spend the night with another aunt and uncle before driving back to Seattle. 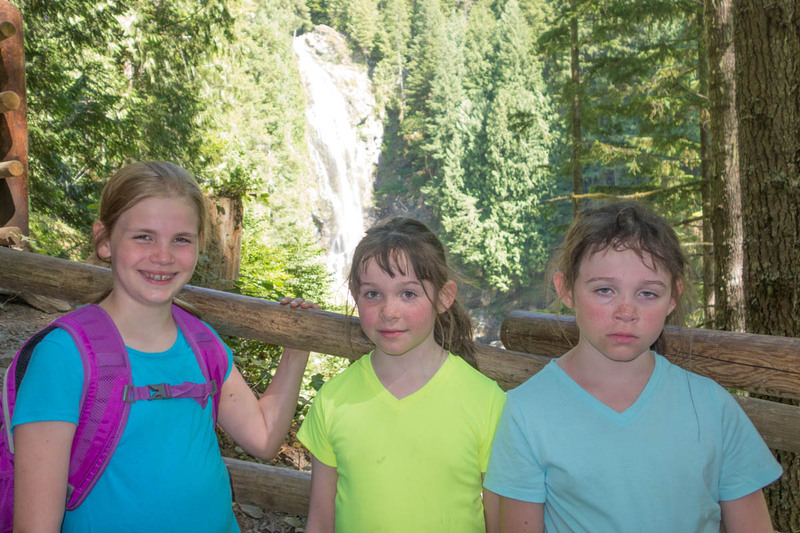 Last Saturday the Little Women and their parents drove into the Cascade Mountains to visit Wallace Falls State Park. 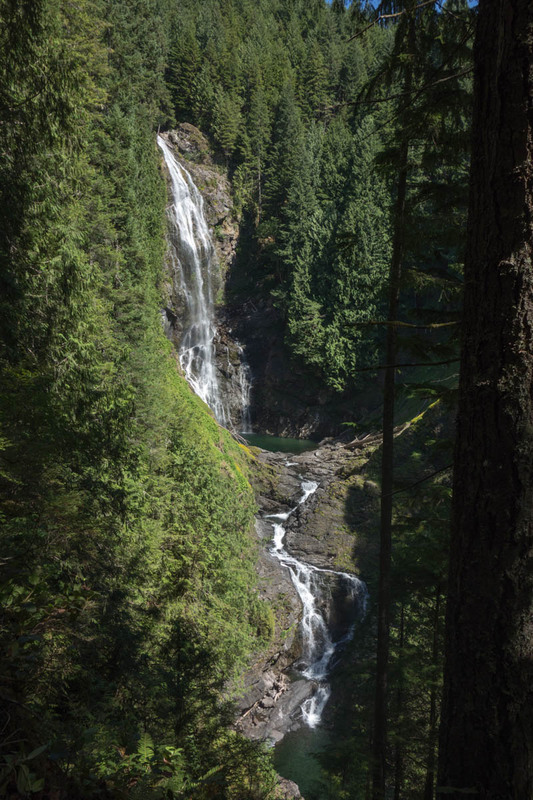 There they had a lovely hike and saw some beautiful waterfalls. A good time was had by all, even if it didn’t always seem that way. The Little Women and their parents spent Friday and Saturday at Great Wolf Lodge in Grand Mound, Washington. The Little Women enjoyed frolicking in the large indoor water park, which included, among other things, a large wave pool, a bucket that dumps 1000 gallons of water, and a set of water slides. 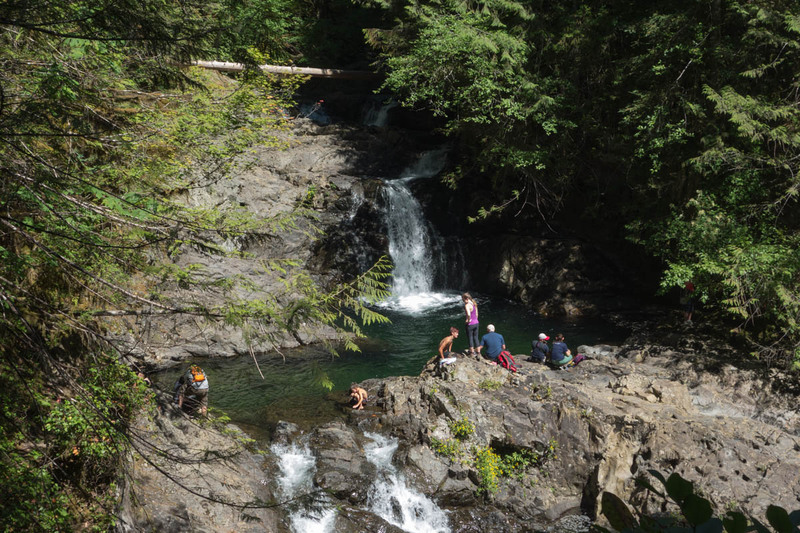 If you want to ride a raft over a waterfall, backwards, and in the dark, then this is the place for you. The visit also allowed them to visit the world’s northernmost Burgerville location. Yesterday Clara and Nicolyn were baptized and confirmed members of the Church of Jesus Christ of Latter-day Saints. The Little Women recently learned how to make crepes, and yesterday they surprised their parents with this beautiful breakfast, which the girls prepared all by themselves. Clara and Nicolyn turned eight last week, and to celebrate this the Little Women had a Puppy Party with six of their fellow Little People. Thanks to much hard work by Jenelle, a good time was had by all. More pictures are here. The Little Women spent Easter Eve (okay, so maybe that’s not the real name) on the trail of the Easter Bunny and its coveted Easter eggs. This consisted of scouring the front yard for little plastic nuggets of goodness. Each of these had a piece of candy and a piece of a jigsaw puzzle that showed where the Easter baskets were hidden. The puzzle was harder than expected, but it all worked out in the end. It looks like the end is near for the Little Women’s basement remodel. All of the major work is done, and only the finishing touches remain. The new washer and dryer arrived on Friday.